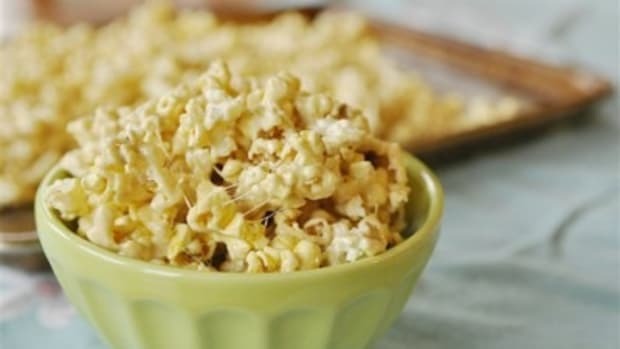 The popcorn industry has led us all to believe that we either have to buy prepackaged bags of popcorn or buy popcorn machines to make popcorn at home. Or maybe you all know this and it’s just taken me 30-ish years to figure it out. Anyway, for the similarly unenlightened, I’m about to show you how to make popcorn at home the super cheap, no-frills way. 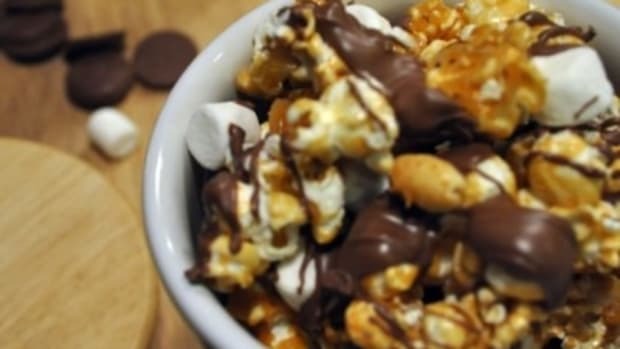 All you need is a microwave, a bag of popcorn kernels, and some basic brown paper lunch bags. Minus the microwave, which I’m assuming you already have, the popcorn kernels and paper bags will cost you around $2 total. This makes approximately a crapload of popcorn. I’m not so much for the math so that’s an estimate, but that $2 will get you far more popcorn than a box of microwave popcorn bags. Since I learned how to make homemade popcorn, Ryan has been requesting it pretty much every night. Here he is stuffing his face with some during tonight’s movie night (which was The Amazing Spiderman, if you’re wondering). 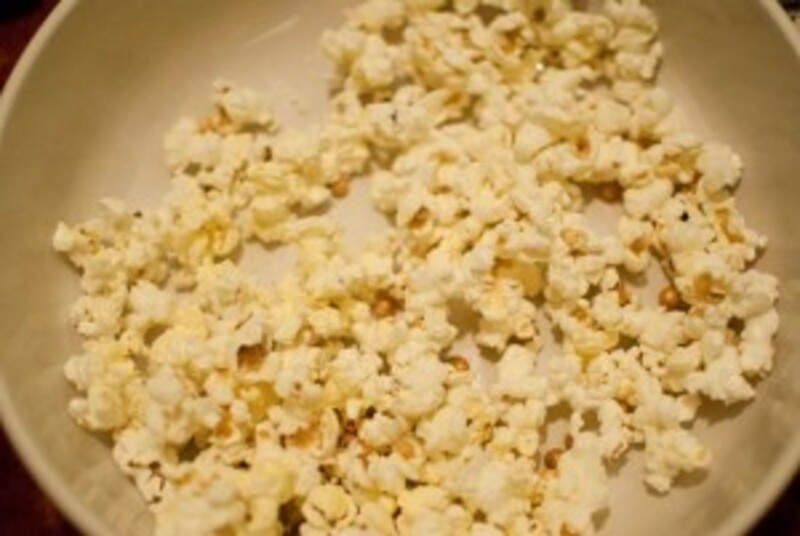 For a normal, family-sized bag of popcorn, you’ll need 1/4 cup of kernels. For a snack-sized bag, you’ll need 2 tablespoons. Once it’s popped, season it with whatever you like your popcorn seasoned with. I’ve been using I Can’t Believe It’s Not Butter spray and Kernel Seasons popcorn seasoning, but once I’m finished with the spray I’m going to start using olive oil sprayed from a Misto. You can get fancy with a little chopped rosemary or other herbs and spices. The popcorn world is your oyster, people. 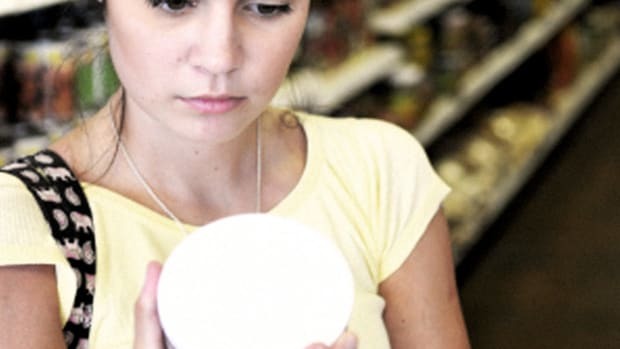 Go forth, and enjoy many movie nights in your living room knowing you saved money and aren’t eating all the trans fats that usually come in store-bought popcorn. Happy Friday! Place popcorn kernels in brown paper lunch bag. 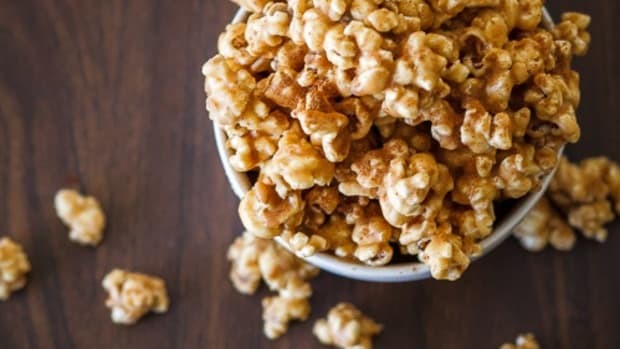 For a family-sized bag, use 1/4 cup of kernels. For a snack-sized bag, use 2 tablespoons. Fold up the bag tightly 2-3 times. Place in microwave and set the timer for 3 minutes. 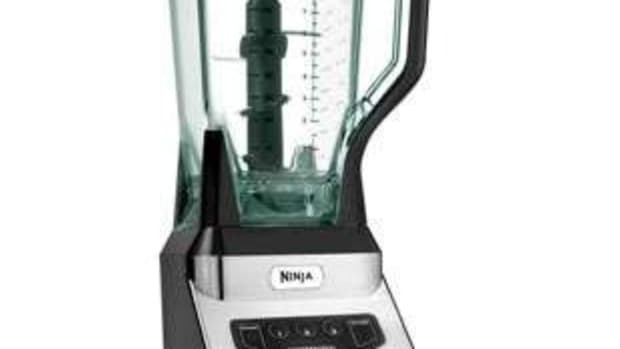 You will likely not need this whole time. Pop until the popping slows down to 1-2 seconds between pops. I cannot overstate enough how you must stop the microwave AS SOON AS you get to this point. You WILL burn your popcorn if you let it go past this point. Take it from one who has burned many a bag of popcorn in her day. 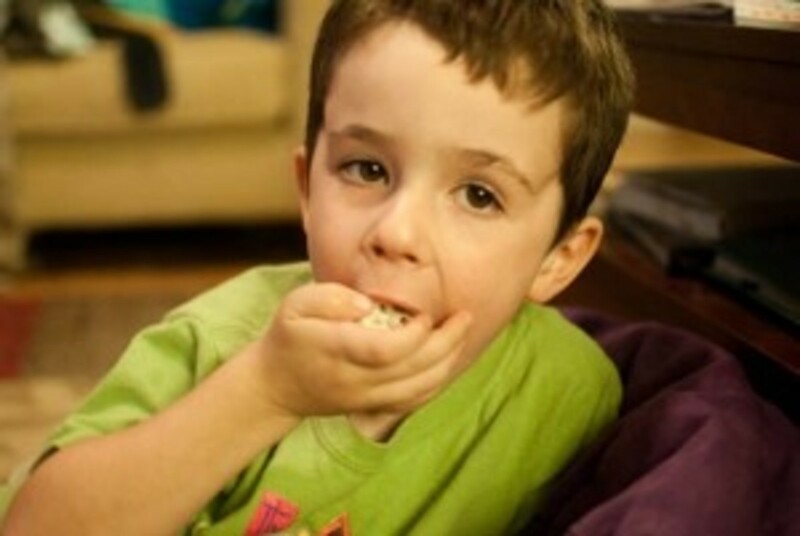 When popcorn is finished popping, season as desired. I find I get the best results if I put the seasonings in the bag with the popcorn and then shake the whole thing up. I, like many of you, have a new addiction. 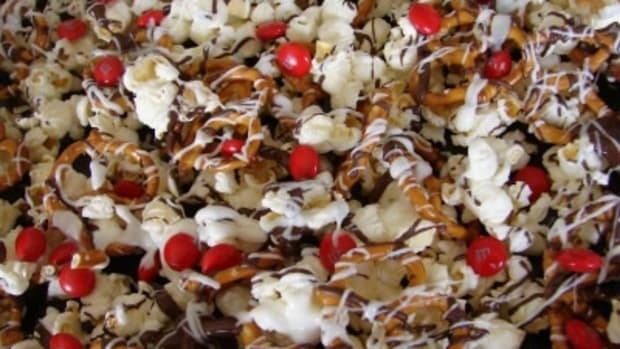 Need a gourmet popcorn recipe? 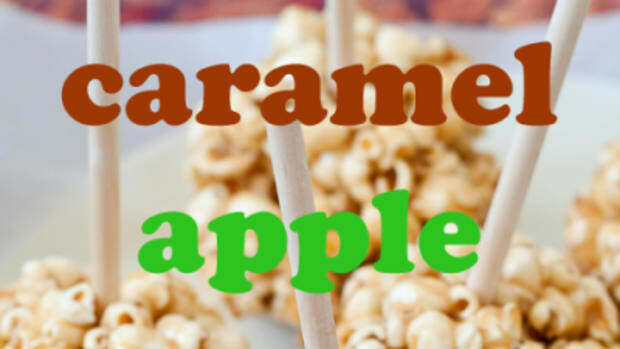 I’ve grown very particular about caramel popcorn-I only like it soft and completely saturated in caramel. First off, hello everyone! I’m Stephanie and I’ll be writing about food here at Today’s Mama.